At the Baylard Law Office, LLC, we are experienced enough to handle any legal matter, but small enough to give you the personal attention you deserve. We care about our clients and take pride in approaching each case with a fresh perspective as we work diligently to achieve the best results possible. Our firm handles a wide variety of legal issues from personal injury claims involving auto accidents and wrongful death cases to family law matters concerning divorce and child custody disputes. Whether you are facing criminal charges for drug possession or appearing in traffic court for a speeding ticket, we will treat your case with the utmost importance. We understand that when you need an attorney, it usually is not your choice – someone injured you, you need representation for a family issue, or you made a bad decision. Choose Attorney Dan Baylard to stand by you in court. "The very best attorney around." 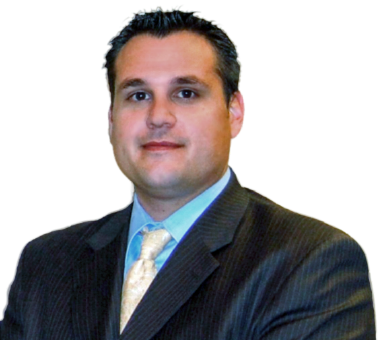 "A very professional, knowledgeable, and caring attorney." $200,000 (policy limits) – car accident resulting in significant broken leg and other injuries. The Baylard Law Office, LLC negotiated a policy limits settlement from the other driver’s insurance company in addition to $100,000 from the client’s own underinsured insurance policy. $200,000 (policy limits) – motorcycle accident resulting in significant injuries. The driver pulled out in front of the plaintiff as he was driving down the highway. The Baylard Law Office, LLC was able to stack two separate liability policies. $82,500 – slip and fall resulting in significant ankle injury. The plaintiff slipped and fell in an icy parking lot while crossing it to reach his hotel. $100,000 (policy limits) – car accident resulting in neck injury and SLAP tear in shoulder. Rear-end car accident which resulted in an aggravation of a previous neck injury. We were able to obtain the policy limits in this case. The amount of sleep you get each night directly affects the likelihood that you’ll get in a car accident. Getting less than four hours of sleep at night increases your crash rate by 11.5 times, yet thousands continue to drive with impaired judgment, reaction times, and thinking skills. Protect yourself, your family, and other drivers by taking steps to get the rest you need. You’ve just been injured. It could have been small, like twisting your ankle from slipping on wet floor at a grocery store. Or it could have been something more painful. Accidents happen all the time. It’s important for you to know that you don’t have to navigate this difficult time alone. With all the misconceptions floating around, how can you feel confident in your choice? Follow the tips below to learn how you can bust myths about personal injury lawyers and make a decision that works best for you. Divorce is a difficult situation for both you and your spouse, but it is especially hard on your children. During this time, it is important to consider how your future divorce or current separation will impact your children and what you can do to help them through it. Even before you hire a lawyer, it is important to know and understand your rights. This way, you won’t feel unprepared in the sudden event of a car accident or if you’re pulled over under suspicion of a DUI. With a working knowledge of your rights, you can actually help with your lawyer’s defensive strategy during your future case as well. Knowing you have the right to remain silent under the Fifth Amendment or that saying “sorry” after an accident can be considered an admittance of guilt in a court of law are a good place to start. Apart from things you can and can’t say, having a basic understanding of local and state laws can go a long way to prevent harm, such as being able to detect if someone is trying to scam you. To learn more about your rights in Missouri, familiarize yourself with the Attorney General’s consumer guide.